PUBLISHED! 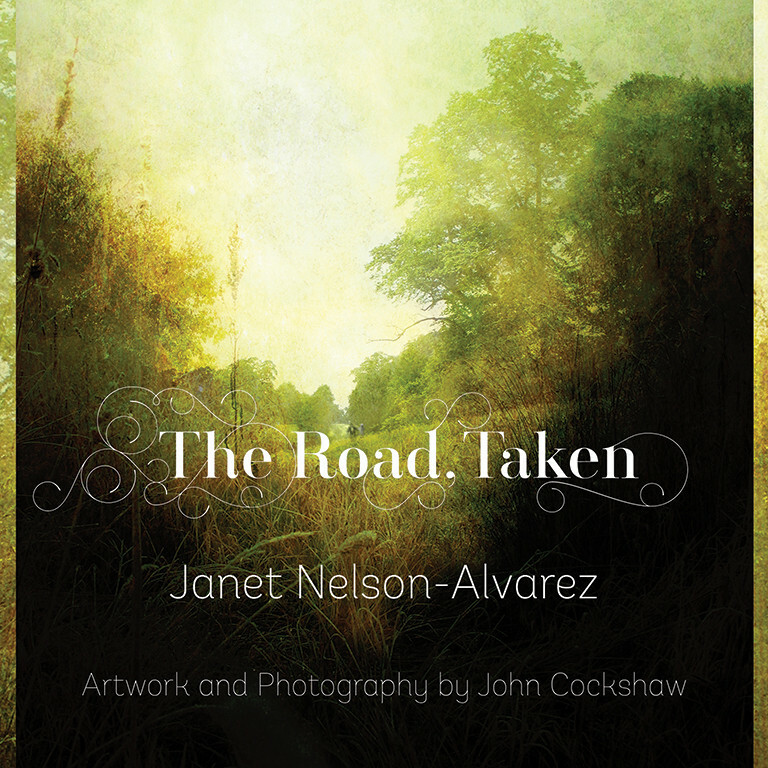 ‘The Road, Taken’ by Janet Alvarez, art by John Cockshaw. Glory and trumpets! 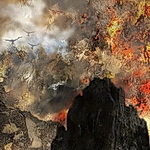 The Road, Taken, the book of poetry and illustrations that jan-u-wine and John Cockshaw have been working on for over a year, at last may be ordered. Go to Oloris Publication’s presale page HERE. It was quite providential, ey? I ordered mine already, too, Lavender! a matching for which I shall always be grateful! you never know, Oloris might, at some point, undertake to translate it......In any case, a_lexxy, I am so happy you think it is magical! thank you! If you are on facebook, friend Nicole Roberts. She knows Russian, she loves Tolkien, she is a wonderful person and a friend. If she can help in any way, I know she would. I hope that you will enjoy the book, and welcome your comments! I'm so glad this book is out at last! well, not quite out....but the chrysalis IS near to splitting! I am terribly excited, Aliensouldream!!!! "at last may be ordered"
It has been. Once again, congratulations Jan.
thank you so much, Ambree! it all feels so surreal. Can't wait to hear what you think and hoping very much that you will enjoy. Just received the masterpiece today and except for pausing to eat dinner, I spent the rest of the evening in the Hall of Fire soaking it all in. 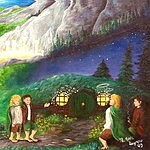 "At first the beauty of the melodies and of the interwoven words in elven-tongues, even though he understood them little, held him in a spell, as soon as he began to attend to them. Almost it seemed that the words took shape, and visions of far lands and bright things that he had never yet imagined opened out before him; and the firelit hall became like a golden mist above seas of foam that sighed upon the margins of the world. Then the enchantment became more and more dreamlike, until he felt that an endless river of swelling gold and silver was flowing over him, too multitudinous for its pattern to be comprehended; it became part of the throbbing air about him, and it drenched and drowned him. Swiftly he sank under its shining weight into a deep realm of sleep." Anyone who hasn't ordered it already, what in the Four Farthings are you waiting for? Run, do not walk, to get your own copy! I do hope an audio version of it can be produced for I would love to share it with a friend of mine who is blind. Here's hoping for Frodo's voice to be heard more! I felt it really was him in that other video John did. I agree it was ambitious - and wonderful - that Oloris did such a deliciously thick volume. As C.S. Lewis said of Tolkien's masterpiece, I can say of yours: "Here are beauties which pierce like swords or burn like cold iron." I already left a review on their Facebook page early this morning. I didn't see a place on their website proper. I thought it had disappeared but if you scroll down on the left you will see it under Visitor Posts. I also left a review on GoodReads. I will be promoting it on Pinterest too, which I am addicted to, yes, my precious, quite addicted. i saw it and thanks so much!